How would you rate your experience with Mint Mobile ? Mint Mobile is an offshoot of Ultra Mobile, a mobile virtual network operator. The company sells discount prepaid SIM cards and mobile phone service that works on T-Mobile’s network. Ultra Mobile kicked off Mint Mobile in August of 2016. The company offers vastly reduced rates for service for customers who are willing to pay in advance of at least 3 months duration, rather than month to month. Originally limited to Android phones, the company now offers service to iPhone users as well. The base rate at Mint is $15 a month for unlimited talk, text, and data, as well as 2 GB of high speed (4 LTE) service. That is roughly half the price of the lowest competitor, MetroPCS. In a review dated January of 2018, Forbes listed this service as a top provider which can save consumers hundreds of dollars in cell phone bills. Company headquarters are currently located in Costa Mesa, California. Question 1: What is the phone number for Mint Mobile? 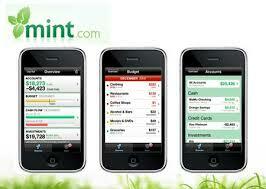 Answer 1: The phone number for Mint Mobile is (714) 271-5500. Question 2: Who is the CEO of Mint Mobile? Answer 2: The CEO of Mint Mobile is David Schofield. Question 3: Who founded Mint Mobile? Answer 3: Mint Mobile was founded by Ultra Mobile in 2016. I bought a 6 month plan in March 2019. It is paid in full till August 2019. It is now April 17 2019 and I have no service. I get a text saying my account is suspended as of May 13 2019. Last I looked April comes before May? How do you shut off my service in April, its paid till August and then tell me its suspended for nonpayment as of May 13. Forget about trying to get help, they tell you it takes 48 hours to get any help. Mint mobile is rip off! I activated the phone 2 week ago and they said I don’t have service any more I cant understand this services pay for something don’t work you are still money from people too. the people chat in this clown sim mintmobile are a clown they are there for help and they don’t help at all tecnichian I don’t think they are nice topeople and doing the job right you better check because this people desconnet the phones when they want and they blocks those phone.You are in trowble because we are reporting this for many times and you don’t doing anything. I have been trying to start up my service for 6 days, and I still don’t have service. I have called 10 times, insisted they escalate my case 2 times, and still no service. Every time I call the customer service person assures me it should be activated by the same afternoon. When I call back, they just tell me to wait. YOU ALREADY HAVE MY MONEY WHY DO YOU KEEP LYING ABOUT YOUR SERVICE????? I have the exact same issue & it sounds like it has been going on for several weeks now. I ordered my service on Sept 27th. I feel like they should have warned me that they weren’t able to activate any services at this time. Now my number is ported so my my old service doesn’t work & new services won’t either. I operate my business through my phone & wondering how much money these people have cost me. They are unable to tell me if they will ever be able to activate my account. They offered to send me a new sim for free but I don’t see how they will be able to activate that one. And it still won’t be my number which means I’ll lose clients. They refused to send me further up the chain saying that a supervisor was the highest person. They refused to provide me with a contract number for upper management. Same issue as Cyndi. Paid for service, yet unable to make and receive calls for 3 days now! They just say there is nothing they can do. Yet they have my pre-payment of $188. Where to start? I am unable to use this phone for 7 days now. It is really sad that what started as a stellar experience has turned into something that I am going to tell everyone I know not to use. I have called every day for seven days. My ticket has been escalated, finally yesterday to a desk who promised I would have a call back within 24 hours. Didn’t happen and still no service. At the call center I am told that there is no way to fix this issue, that I must keep waiting until T-Mobil fixes the issue. I am not allowed to talk to T-Mobil and meanwhile all of the other phones I have using MINT work just fine. There are multiple fixes for this issue. Where are your Engineers? Where is your escalation desk and why is your call center in the Dominican Republic? THESE GUYS are taking all kinds of calls for something that should have been fixed days ago by your company if they are correct in that it is affecting numerous customers. Where is the communication from MINT? Have they been able to fix your issue yet? Want to make sure Mint Mobile sees your comment or complaint?